​Manchester United beat off plenty of competition to sign Memphis Depay from PSV Eindhoven the summer of 2015 for £25m, as those at Old Trafford believed they had landed one of Europe's most promising youngsters. Things didn't quite work out for the Dutchman on the red half of Manchester, as the forward was out the club just 18 months later, with a record of seven goals and six assists in 55 appearances. 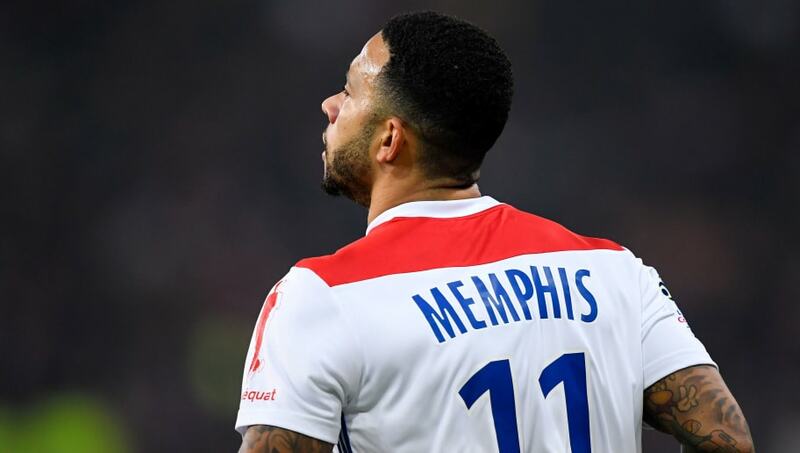 While it didn't go to plan for Depay in the ​Premier League, the now 24-year-old has revitalised his career following his subsequent move to Olympique Lyonnias, and certainly warrants a second chance in England. ​Chelsea could do a lot worse than consider a move for him this summer. With Olivier Giroud's contract at Stamford Bridge set to expire at the end of the season, and a Chelsea future for both Michy Batshuayi and Alvaro Morata seemingly unlikely after recently being shipped out on loan - not to mention ​Eden Hazard's very public flirting with Real Madrid - signing a forward will be a priority for the Blues this summer. In Depay, who has made no secret of his desire to return to the Premier League after ​citing potential moves to both Chelsea and Manchester City among others, Chelsea could have an individual that offers the flexibility to play either up top or out wide. After swapping Lyon for ​United in January 2017 for £16m - having failed to score or assist in his final six months at Old Trafford - Depay netted five goals and provided eight assists in 17 Ligue 1 games, playing predominantly from the left. It was the 2017/18 season however that Depay really showed the form that United expected when he was with the Red Devils, finishing the season with 22 goals and 17 assists in all competitions, with a hat-trick as a centre forward on the final Ligue 1 game of the season against OGC Nice highlighting the improvements he's made to his game since the positional switch. This season has seen the former PSV man operate more frequently as a striker - a position he's still learning to play - although a record of six goals and 13 assists so far is a decent return, with his pace and direct running making him different to what Chelsea have, certainly from a striking perspective. It's a positional change that has certainly been aided during his time their for the Netherlands national team following the appointment of Ronald Koeman in February 2018, with Depay earning nine of his ten caps under the former Everton boss as a striker, finding the net on five occasions and helping them reach the inaugural Nations League finals this summer. While a potential fee is yet to be touted, Sarri should certainly consider Depay as an option over the summer, with the Italian already having a successful record converting a conventional winger into a centre forward during his time at Napoli. Despite playing second fiddle to Gonzalo Higuain's 36-goal season in Serie A in 2015/16, ​Dries Mertens still finished the season with 11 goals and seven assists. However, it was his transition from wide to a central position that makes the prospect of Depay joining Chelsea a tantalising one. Following Higuain's departure for Juventus, Mertens was thrust into the limelight as Sarri's leading man, with the diminutive Belgium finishing the 2016/17 season with 34 goals and 15 assists in all competitions, before following that up with 22 goals and 12 assists in 2017/18, in what proved to be the Italian's final season at Napoli. Like Mertens, Depay would have to contend with Higuain for a starting place, ​should the Blues make the Argentine's stay permanent in the summer and subsequently sign the former United man, however every team chasing the accolades Chelsea are need quality options across the pitch, while the Dutchman's versatility makes him a useful player to have. If Chelsea were to be put off by Depay's failed stint in the Premier League however, they should look no further than a man they let go to only come back and become one of the division's most lethal forwards in ​Mohamed Salah. After two goals and four assists in 19 games following his arrival in January 2014, Salah spent two-and-a-half seasons in Italy from January 2015 at both Fiorentina and AS Roma, where 43 goals and 28 assists in 109 games saw Liverpool take a chance on the Egyptian, signing him for £34m in the summer of 2017. Since arriving at Anfield, Salah has amassed an incredible 63 goals and 24 assists in just 85 games, as well as being the league's top scorer in 2017/18 with 32 goals and winning the PFA Player of the Year award. While it's unfair to have the same expectations of Depay should he return to England, Salah's success should be an indicator for clubs not opting to sign players based off a previous stint in a division, but on what kind of player they are now. It's something that Chelsea can take advantage of this summer ahead of Sarri's second season, if kept on at Stamford Bridge, and after being sounded out by Depay as a potential detestation for a summer move, puts them in a good place to bolster their squad with another option for 'Sarriball'.